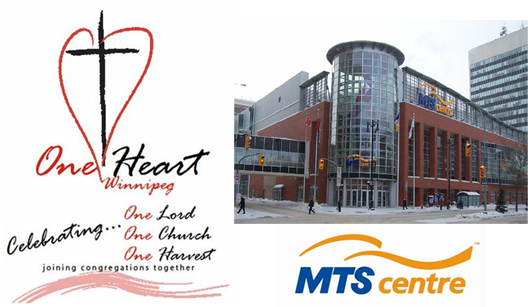 The second-annual “One Heart” city-wide church service is taking place THIS SUNDAY, January 9, 2011 at 11:00 AM at the MTS Centre (300 Portage Avenue, Winnipeg). 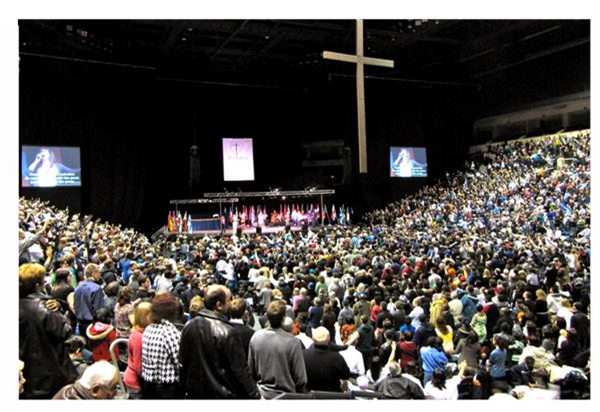 This year 48 churches are joining together to celebrate our Saviour, Jesus Christ, and the hope we have in Him. Our guest speaker will be Dr. Brian Stiller, well-respected author, leader, and voice in Canada. Please plan to come early, as we are expecting a full house and it will take some time for everyone to find parking, seats, etc. The service will begin at 11:00 AM and is expected to conclude between 12:30 – 1:00 PM. IMPORTANT NOTE: >>> Both the Saturday and Sunday services for January 8th and 9th will be CANCELLED at Church of the Rock so that everyone may attend this city-wide celebration.